No! Make Them Run On This! As we begin the planning for the upcoming 2014 midterm elections – and early stage setting for the 2016 Presidential elections – the Democrats are, of course, scrambling for platforms to run upon. My thought is to give them a “hand-out” and provide them with one – ObamaCare and their support thereof. I think we can run on this. I think there is so much in here that has value to every American, and mostly to people who have insurance. 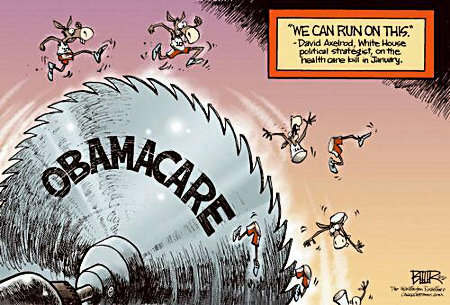 ObamaCare has “worked so well” that we, the People shouldn’t let the Dems run upon it; we should make them run upon it and we can do exactly that if we choose the discussion instead of letting our domestic enemies say whatever they want in order to gain or keep power over us. Let’s make it 2010 all over again and continue the rebirth of our nation. Then we can impeach and remove Obama, Holder, and many others throughout the Executive and Judicial branches of the Obama Regime. The jobless rate has dropped approximately 50% faster and further in states that elected Republican leadership in the 2010 elections than the national average. In the 17 states that elected fiscally-conservative, tea party-supported GOP Governors unemployment dropped 1.35% vs. the 0.9% national average. On thing to bear in mind, however, is that this represent correlation; it does not, at face value, represent causation. Many factors play into unemployment statistics and this is only evidence – strong evidence, admittedly – that Republican leadership is better at fixing America’s number one problem, unemployment, than the profligate spenders of the Democratic Party. It is not proof per se. Also, these figures are based upon official unemployment numbers and those are more political fiction than reality. For all we know from this analysis it may be that a larger than average number of the jobless may have just fallen off the roles into uncounted limbo, just as a large percentage of the official average nation drop of 0.9% is made up of these poor, lost souls. It deserves serious thought though as we go into the 2012 elections. Prima facie evidence from these 17 states certainly suggests that the GOP is the right choice for anyone wanting the economy to turn around in a reasonable time-frame. I’ll leave aside for the moment that this hatred and fear started with the wastes-of-vaginas that make up the modern iterations of the Feminists. So, concentrating in this post instead upon the more generalized Leftist hatred and derision of Sarah Palin, we are left with with factual and logical failing that they, the puling anti-American Liberals and Progressives, cannot even bear to admit to. 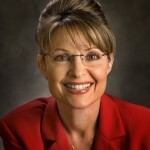 Sarah Palin is so stupid that she backed Sarah endorsed 94 candidates in the 2010 local, state, and national elections, of 60 won, 33 lost, and 1 race still being undecided. That’s a 64% success rate and better than all of the power brokers who feed off of D.C! Tell me, you� filthy little Liberal vermin, how many of the few Democrat candidates who were willing to let your Messiah, Obama stump for them won? Harry Reid and who? Yeah, Sarah Palin is so stupid. With stupid like that you’ll be calling her Madame President or un-assing the country. For the record, I strongly suggest the latter; it’ll save Americans the cost of ammo. Remember how, back in 2008, the domestic enemies of America declaimed that our nation had lurched to the Left like some sort of shambling, drug addicted, derelict? Remember how they crowed that the installation of Barack Obama as POTUS proved that resistance to the Leftists’ agenda was futile? They and their Messiah, President Obama, were very, very wrong. Resistance was not futile; America has not lurched to the Left and remains a proud and sovereign nation. 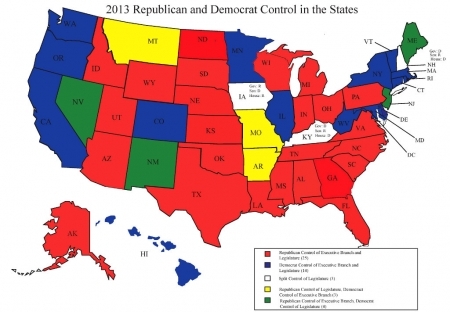 The results of the 2010 Elections, which turned the nations electoral map red at local, state and federal levels, proved that to any and rational minds without a shadow of doubt. Being an American is not a matter of blood or birth, it�s a matter of faith. To the followers of Obama and his anti-American agenda I say, amend your faith and assimilate, as all foreigners within our borders must, into the Body of America or be treated as any other cancer or foreign infection must always always be treated.